The Cutting Room Radlett is the go-to place for ladies and men who like to look and feel fantastic from head to toe. 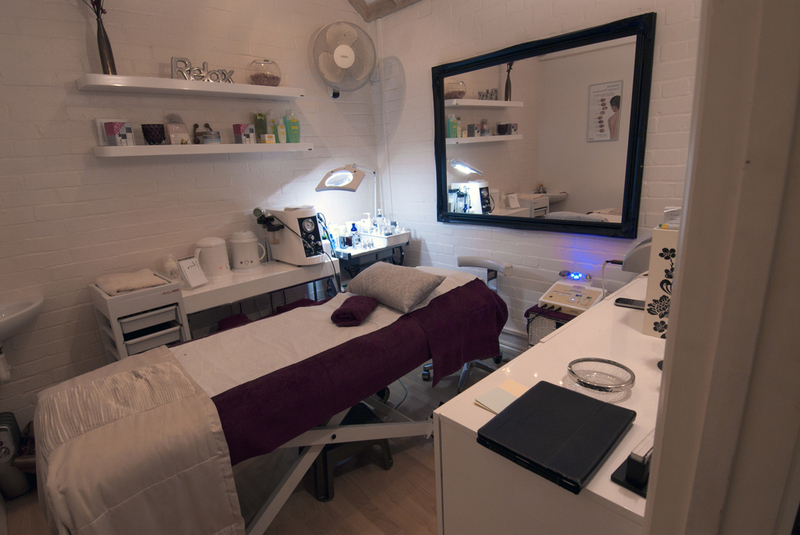 While our hair stylists work their magic hands in the salon above, our independent massage and beauty therapists work theirs in the therapy studios below. Gina is a genius. She does it all. This includes technical procedures such as Sterex advanced cosmetic procedures using electrolysis (for skin disorders and blemishes), Genesis ultrasound and light therapy and Caci non-surgical facelifts. View her range of treatments and price list. For an appointment with Gina please CALL 07788 725574. Sarah is on hand to deliver the very best in manicures, nail art and more. What better way to spend your time waiting for your hair colour to process? Sarah now offers relaxing and rejuvenating hand massages to hair salon clients for £5. For the very best in HD Brows, lash extensions and eyebrow threading, as well as many other treatments, look no further than Charley at Wink Beauty. For appointments and enquiries please CALL 07825 211738. We are delighted to welcome Maryam (Maria) to our therapy rooms. She comes with over 15 years experience specialising in Eyebrow, Hena brow, Lash lift and Waxing. Over the last 5 years she has built a wonderful reputation in Radlett, built on trust, loyalty and expertise. For a warm and comfortable experience, please call Maryam and she will be happy to discuss your needs. We are currently seeking an experienced, talented massage therapist who wishes to run their own business from our therapy centre. Please call 01923 856351 for more information.